Step 1 – make a batter. 1/2c milk, 2 eggs, 30g cornflour, 2/3c plain flour and 1/2tsp baking powder. Step 2 – boil 250g frozen peas. Purée half the peas and mix into the batter. Then fold in remaining whole peas, 250g chopped haloumi, 1tbs chopped mint, salt and pepper. 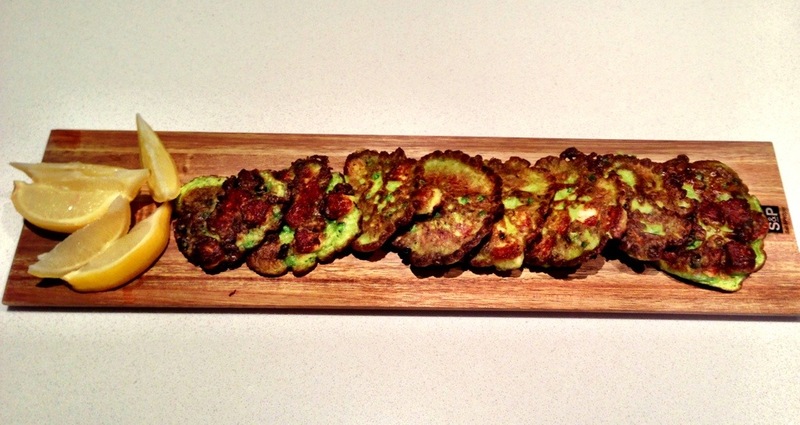 Step 3 – fry off fritters in olive oil. Serve with lemon wedges an some more mint leaves. 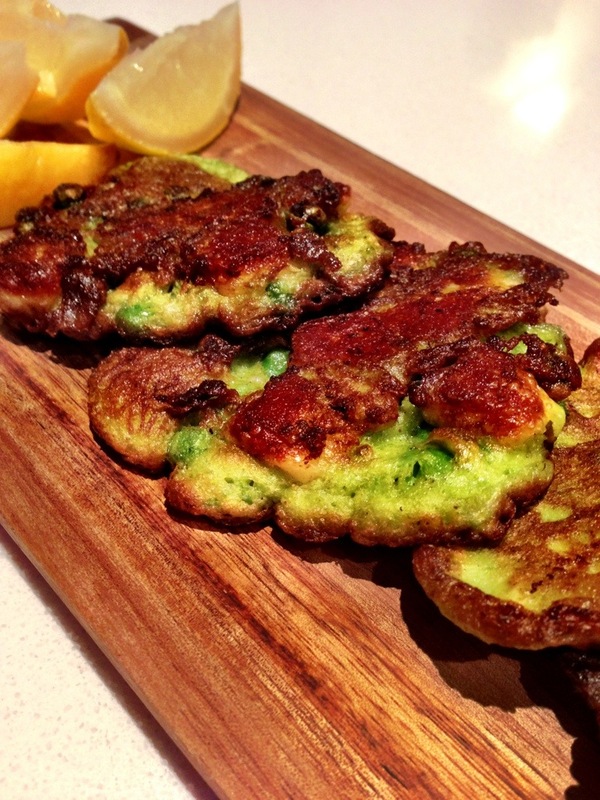 These fritters are also great to add to a breakfast menu or as a side at a BBQ. These look delish. Love peas and love haloumi…win win!